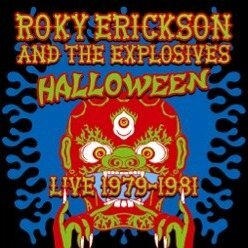 Roky Erickson and The Explosives - Halloween. 18 song 'LIVE' recordings between 1979 and 1981. A GREAT cd. Free sticker and button until they're gone, $15.00.